With the iPad 2 set for launch at 5:00 PM on Friday and Apple not offering pre-orders, those looking to get their hands on the updated tablet device as soon as possible may find themselves facing long waits to secure spots near the front of their respective lines. 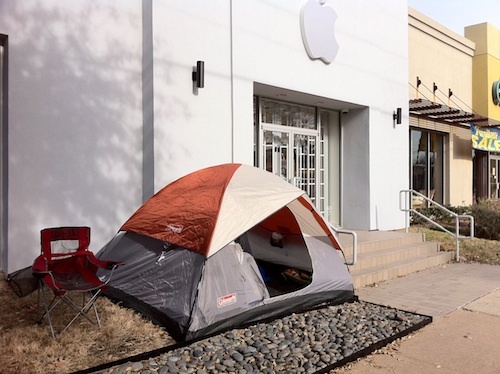 And just like with the iPhone 4, Dallas resident Justin Wagoner has already pitched a tent outside his local Apple Store in order to be first in line for the iPad 2 launch on Friday. One catch for Justin is that the Knox Street retail store that has been the usual location for his campouts is currently closed for expansion, with Apple now operating out of a temporary location around the corner. 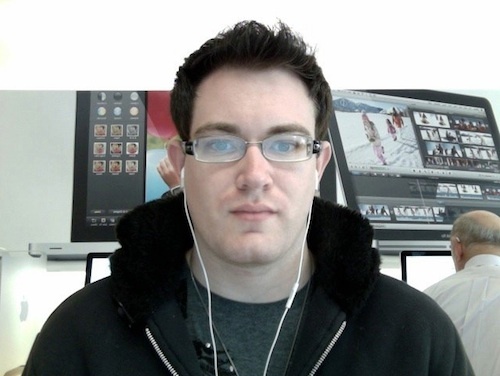 Seeking to capitalize on his growing publicity as an early camper for Apple devices, Justin has launched a new site at iJustinOfficial.com to document his wait. He will also be offering a live video broadcast on Ustream as the iPad 2 launches.